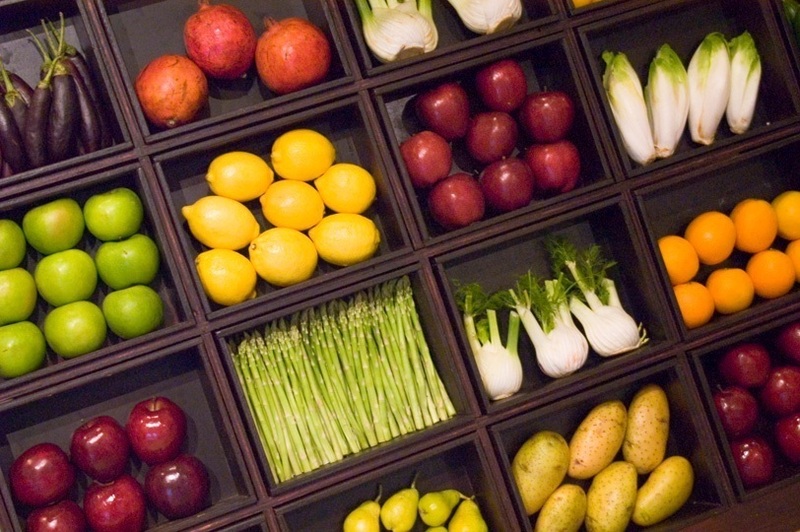 Do you buy only organic produce? We don’t. I mean, I go to the store and – based on instinct or whatever article I read recently – I pick and choose. Spinach? Organic. Kale? Organic. Apples? sometimes. Celery? rarely. Frankly, it’s confusing even if you spend a lot of time thinking about food. And what about local? Organic certification is a complicated process, often difficult for small producers to obtain. Luckily, for 7 months of the year, we rely mostly on our CSA for produce. I love it, because you know what you are spending up front, and you are guaranteed local produce that is grown without pesticides (even if it isn’t officially “certified organic”). But for the other 5 months of the year, we’re trolling the produce aisles on our own. So what to buy? Thankfully, there’s an app for that. The Environmental Working Group (EWG) is a non-profit organization dedicated to “the power of public information to protect public health and the environment.” They publish useful resources for consumers while simultaneously working for policy change in Washington. 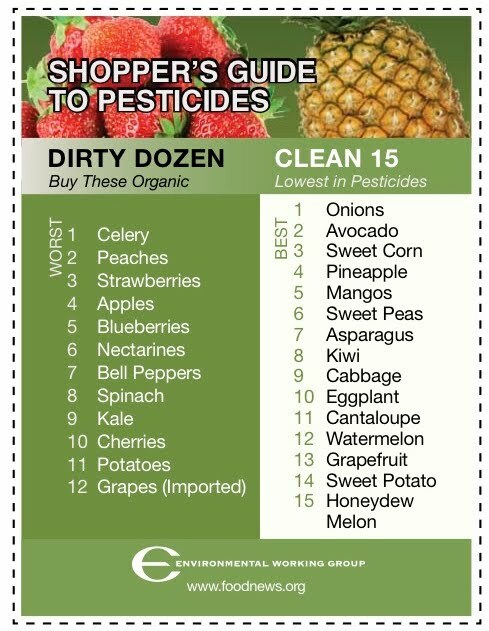 Among their informative guides is their continually updated “Shopper’s Guide to Pesticides in Produce” – otherwise known as the “Clean 15 and the Dirty Dozen”. This handy guide can be downloaded from their website as an iphone app, or printed wallet-sized to take to the store. It lists the 12 foods highest in pesticides as well as the 15 “cleanest” foods that don’t necessarily need to be organic. The worst offender? Celery. The cleanest? Onions. The EWG does more than just publish this guide. They are a great source of information about food policy, environmental concerns, and consumer products. It feels good to know there is a team of smart people out reading reports and analyzing policies in order to help us make sense of the overwhelming amount of data out there. There website is well organized and a great place to go to stay informed. This entry was posted on April 14, 2011, 10:59 pm and is filed under CSA Challenge, helpful hints. You can follow any responses to this entry through RSS 2.0. You can leave a response, or trackback from your own site. I have this posted by my grocery bags so that I will be reminded when I shop. Some of the “low pesticide” items are surprising and takes the pressure off having to buy all organic when the quality doesn’t always measure up.